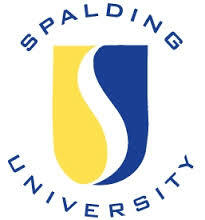 Spalding University combines a rich history, a convenient, urban setting, and a commitment to community service, as we attract students who desire a high quality education in a very personalized setting.Today this urban, co-educational institution offers more than two dozen degree programs at the bachelor̠s, master̠s and doctoral level, providing quality, real-world learning in liberal and professional studies to over 2500 students.Spalding offers many amenities including a deep connection to community, comprehensive learning resources, service learning and intercollegiate athletics to help its students further develop as individuals and become successful citizens. Spalding strikes a distinctive balance while serving the educational needs of both the traditional student and the working adult. Students benefit from the personal attention provided by an accomplished full-time faculty and a talented part-time faculty of working professionals and practitioners bringing real world experience to the classroom. Spalding is the institution for most every type of learner, offering a variety of degrees in several multi-faceted delivery systems.